a completely revamped Google Sites with a select group of early adopters. Starting today, we’re making the new version of Sites generally available to G Suite customers. In addition to the intuitive technology, integration with G Suite apps, and attractive design that our early adopters have come to know and love, the new Sites now includes the ability to track performance with Google Analytics, six new themes, and other helpful features. Read on for more information regarding this launch, and check out the Help Center and Learning Center to learn more about the new Sites. 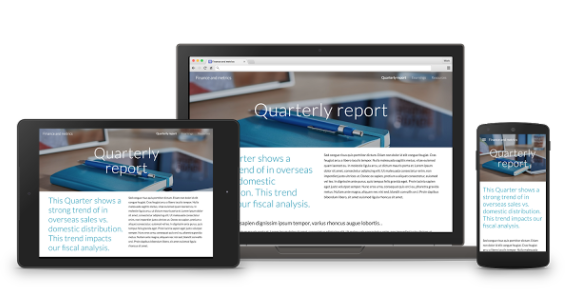 Earlier this year, we began previewing a completely revamped Google Sites with a select group of early adopters. Starting today, we’re making the new version of Sites generally available to G Suite customers. In addition to the intuitive technology, integration with G Suite apps, and attractive design that our early adopters have come to know and love, the new Sites now includes the ability to track performance with Google Analytics, six new themes, and other helpful features. Read on for more information regarding this launch, and check out the Help Center and Learning Center to learn more about the new Sites.